An MCV test is one of the three tests that AlphaBiolabs uses to measure alcohol levels in blood. A liver function test (LFT) and carbohydrate deficient transferrin (CDT) analysis are the other two. The acronym MCV stands for mean corpuscular volume and refers to the size of red blood cells. Red blood cells carry oxygen in blood to all parts of the body. Heavy drinking over longer periods damages the bone marrow where the red blood cells are produced. The effect is that the red blood cells do not develop properly and become abnormally large. As a result, the MCV index becomes higher than normal, which persists as long as drinking continues. MCV takes 6–8 weeks of heavy drinking (defined as consuming ≥40 g of alcohol/day) to become elevated. However, alcohol-induced bone marrow damage is reversible. Although, because the life span of a red blood cell is around 120 days, it may take several months before MCV returns to a normal level after abstinence. The MCV range for a healthy adult is between 80–100 femolitres (fL). Elevated MCV is common in alcoholic patients. However, care needs to be taken with test results as the MCV is not always raised by excessive alcohol use. 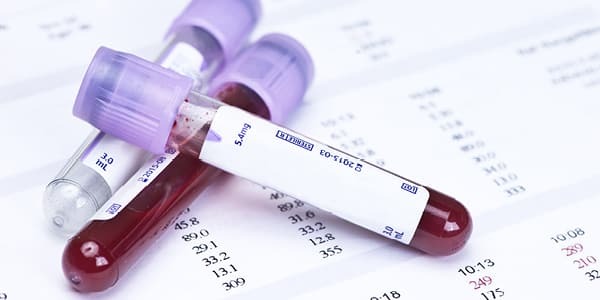 Some medical conditions can influence the size of red blood cells, such as vitamin deficiencies, liver disease, underactive thyroid disease and smoking. In patients with pernicious anaemia (macrocytic), MCV can range up to 150 fL.